India is today the third largest startup base in the world as per a NASSCOM report. As per the Inc42 Indian Tech Startup Funding report, India sees two startups funded on an average every day. With the glamour of entrepreneurship entering even the Tier II and Tier III cities, it is but only inevitable that startup incubators are in dire requirement. One such initiative is taken by Sunil Khairnar with his New Delhi-based incubator Indigram Labs which was founded in 2016. Indigram Labs is a technology-based incubator with a vision to promote creativity and innovation in agriculture, renewable energy and rural healthcare industry. Indigram, as a group, has been around for 18 years and has promoted as well as incubated as well as exited multiple ventures in these years. The incubator aims at fostering and nurturing viable business ideas through the process of consulting, mentoring, prototype creation, leveraging technology tie-ups and access to platforms that yield the stated results. The duration of the incubation period ranges from three to five years.Currently, it is incubating 15 companies and accelerating three companies. 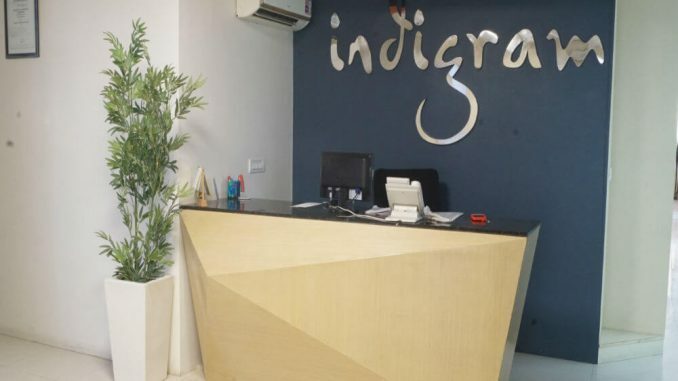 In Inc42’s constant and concerted endeavour to bridge the gap between startups and their enablers, we bring to you the story of Indigram Labs. According to Indigram Labs founder Sunil Khairnar, over 60% of India’s population is dependent on agriculture as their livelihood and this fact alone creates a huge scope for agritech startups in the country. Therefore, the Indigram DNA is rooted in rural development with a focus on agriculture development, entrepreneurship, skilling and rural healthcare being their focus areas for it. In the recently concluded Union Budget 2018, the Government of India has proposed to double the incomes of the farmers by 2022. Thus, to provide thrust to the ongoing wave of farmers’ emancipation, Indigram Labs is attempting to play a similar ingredient to promote the work by focussing on new technologies and innovation in agriculture. How Indigram Labs Is Building Its Route Step By Step?